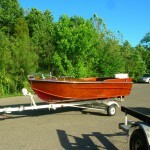 "Specializing in classic, antique, and modern watercraft"
The Wooden Boat Shop, LLC. is now under the new ownership of Butch Davis as of July 31, 2012 as he takes over the helm and continues guiding the business forward in the future. The company was originally founded by Jack McCarthy, Cincinnati, Ohio. Butch has been a friend and customer of Jacks and The Wooden Boat Shop for years and is now making a “dream come true” for himself and his family. “All my interests in wood, metal, industrial, mechanical, restorations, repairs, challenges, success and I still have more energy to take another step in my life. My work experience demonstrates that I have mechanical talents and have been a leader achieving goals and being successful as a manager of an operation. My wife and I have both worked hard for someone else and want to take our last working years and produce a profitable business experience and evaluations from professionals that this is a successful industry and we can be successful by continuing and improving the existing business. The company was incorporated in 1979 and the origin of the name started over lunch with a friend. Jack McCarthy had worked on wood boats with his father and in his teenage years for himself. While going to the University of Cincinnati, he co-oped at a pattern & foundry company in Cincinnati and gained journeyman status as a wood and metal pattern maker. He also became the outside sales person for the company. 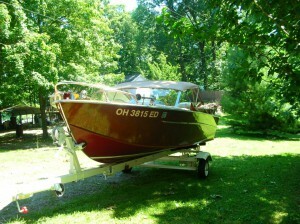 During this time, he worked evenings and weekends taking care of his wood boat customers. 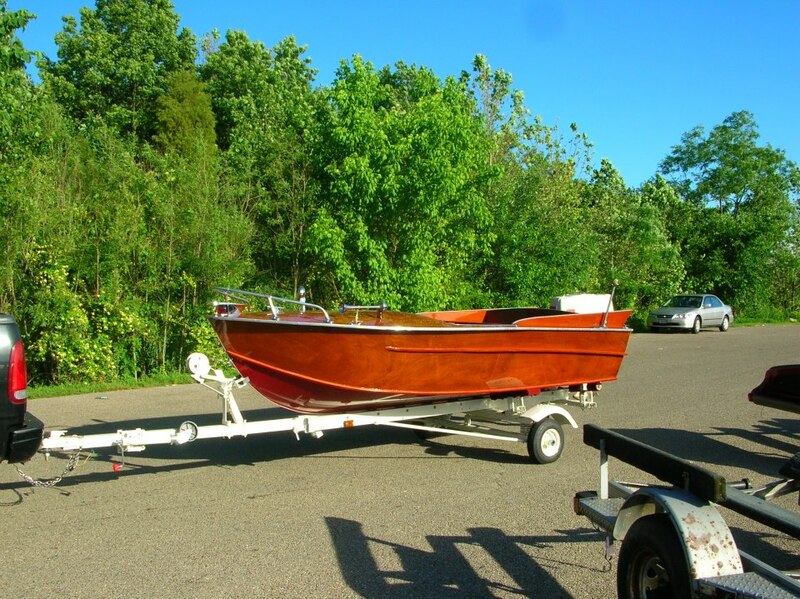 By 1979, the company incorporated and named the business The Wooden Boat Shop, Inc. The business grew steadily over the years and now has a nation wide clientele. In 1983, The Wooden Boat Shop started a mail order business enabling “do it yourself” restorers to locate the correct merchandise for their project and provide access to “free” technical advice to help and enable them to complete their project correctly. The shop stocks every item a person could possibly need to restore his/her own personal watercraft. Every type of paint & varnish from all major companies such as Pettit, Interlux, Z-Spar, Sikkens and Epifanes are on the shelves. The shop also stocks all types of epoxies from West System, Smith’s and MAS. All grits of sandpaper from Norton and all products from 3M ~ such as 5200 sealant are always available. The shop has water pumps from Sherwood, Johnson and Jabsco with impellers for just about every make and model of inboard and I/O engines. The shop carries solid mahogany and white oak marine plywood. Sandpaper in all grits and engine parts for Greymarine, Hercules, Chevrolet, Ford & Chrysler marine engines are also readily available. Whatever you may need, Butch has or can obtain through a telephone call for you. From vintage Chris Crafts from the twenties and thirties to outboards from the 50′s and 60′s to modern replica boats from the 80′s and 90′s and beyond, Butch and his men restore, service, and repair every type and kind of boat… and love every minute of it!